Modern online warehouse management software. Decrease your process times, automate transactions, reduce your stock levels. At the same time, you can also achieve complete traceability on all operations with double entry inventory system. Based on the concept of double entry that revolutionised accounting, the inventory management module isn't just about consumption, loss or missing products; products are just moved from one location to another. This allows full traceability (from customer to supplier, not limited to your warehouse), advanced reporting (e.g. 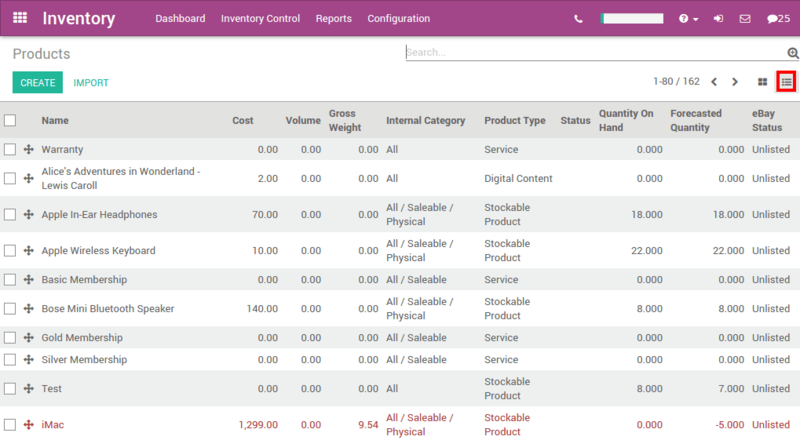 inventory valuation on manufacturing counter-parts locations) and a very simple user interface. 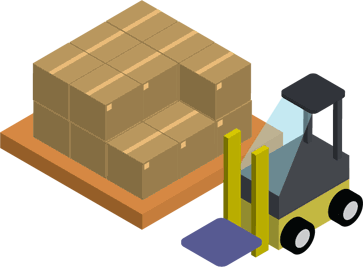 Inventory software prepares all operations for you, according to your own logistic rules: routes, waves, removal/put away strategies, minimum stock rules, etc. Optimise planning and jobs with the scheduler to reduce your process time. Keep an eye on all your stock by tracing all your past and future inventory transactions. Track in detail all stock moves, not only in your warehouse but also in counter-parts of the double entry moves (customers, suppliers or manufacturing locations). Browse through the upstream or downstream traceability flows to have a clear vision to what happened to a specific product or lot. Reduce your stock while always staying replenished! 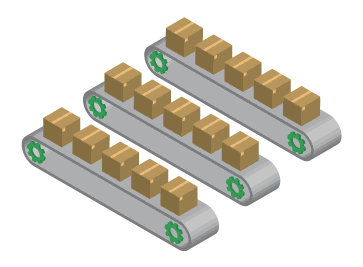 You can setup minimum stock rules to have automatic procurement with the right quantities computed to get to the optimum level specified. Get rid of the stress of your stock and let the system help you with fulfilment options. 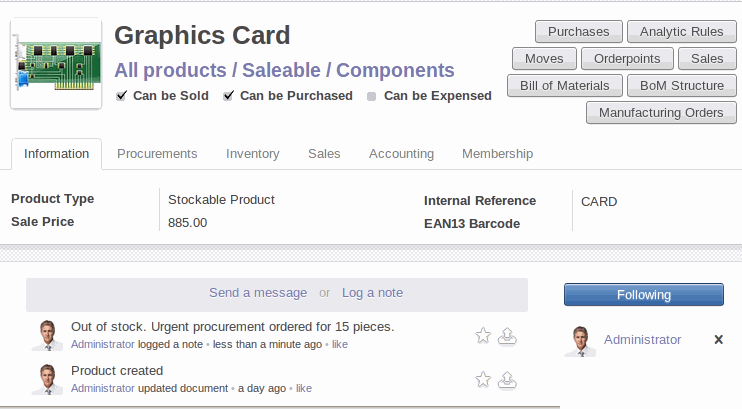 Get your procurement accurate as WMS is fully integrated with sales and purchases for accurate forecasts. The accounting integration allows real time accounting valuation and deeper reporting on costs and revenues on your inventory operations. Assign serial numbers at every step of your reception or delivery flow. 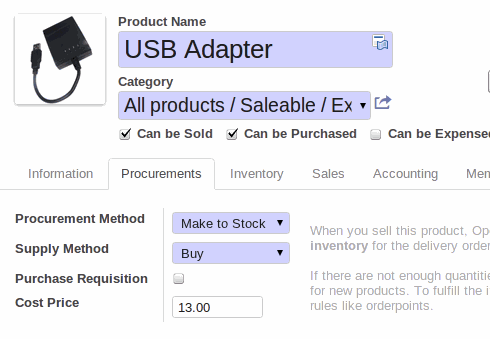 This module handles unique serial numbers, batches of identical products or packaging units. Manage your own internal and external locations, customers, suppliers or manufacturing inventories with multi-warehouse management system based on a hierarchical location structure. Inventory Management is designed to scale from a few thousands operations to several millions of transactions. Get the insights you need to make smarter decisions. 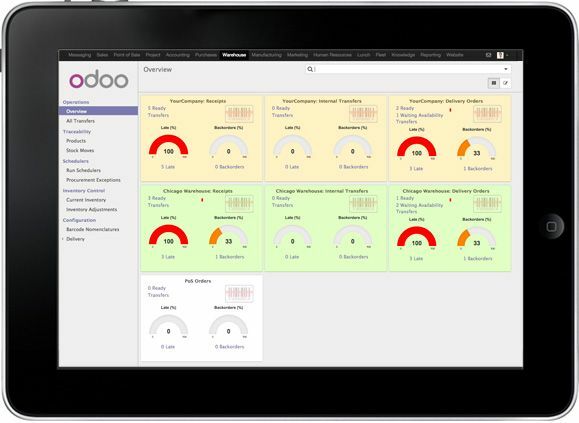 Design custom dashboards to get a picture of your warehouse efficiency at a glance. Dig deeper with real-time reports that anyone can create and share.